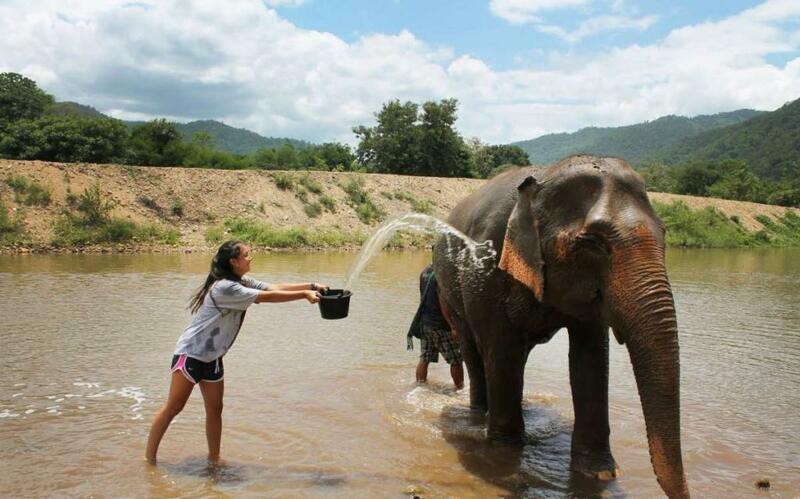 Thailand is an earthly paradise full of incredible contrasts, untouched beauty, and adrenaline-charged adventure. 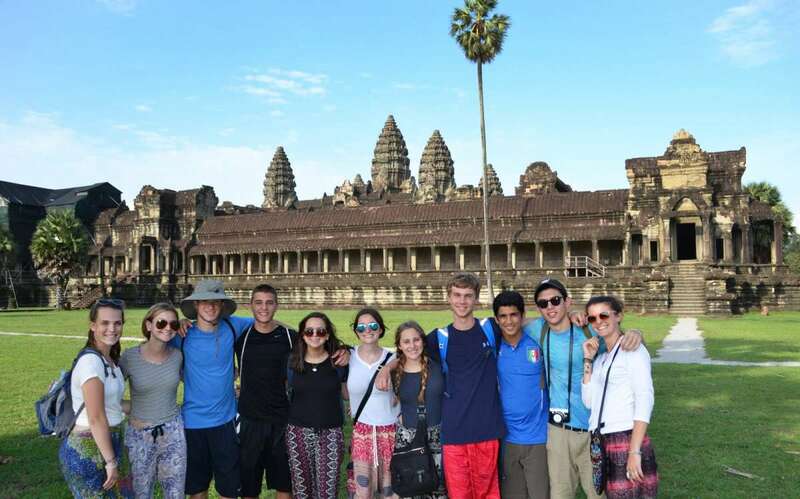 Our all-encompassing program showcases the best parts of this country, designed with the high school student in mind. Begin your trip with an enriching service project spent performing various construction and maintenance projects in order to improving a local school at a hill tribe in Northern Thailand. 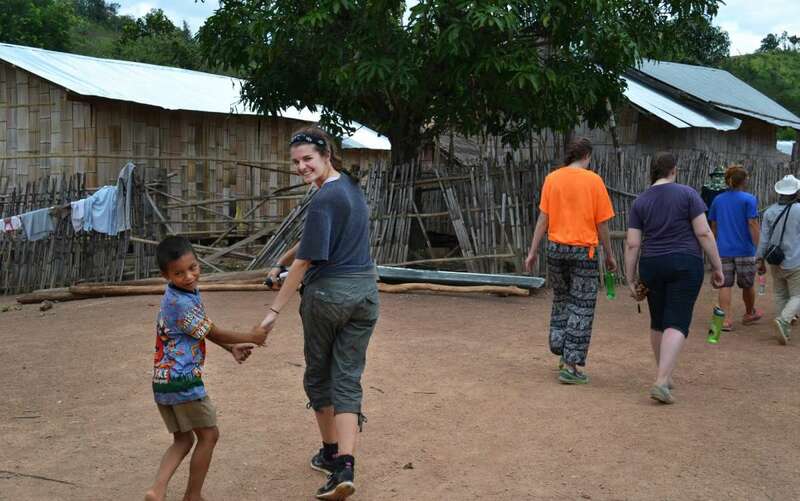 During your service work you will have the opportunity to interact with the school children and form meaningful connections with the people in the community. 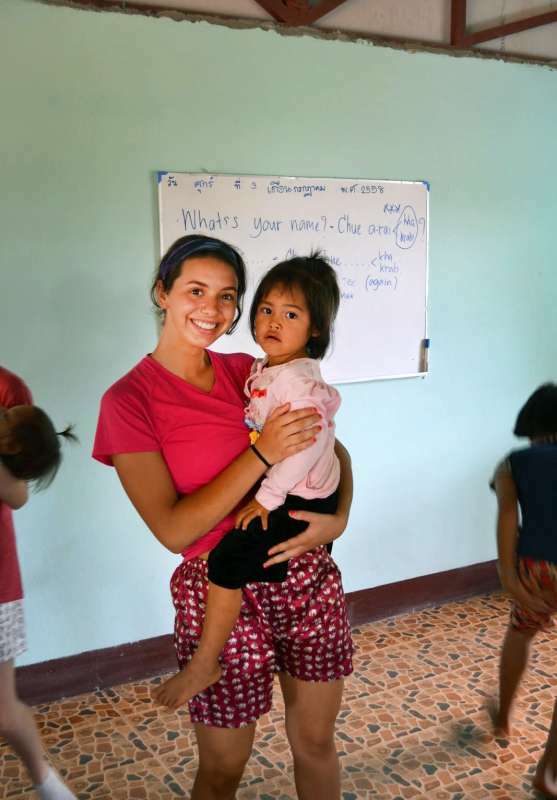 When our project is finished, you will feel a sense of accomplishment knowing your hard work helped make a difference in the lives of the children you grew to know and love! From the hustle and bustle of the ultra-modern capital of Bangkok, to Hill Tribe villages nestled in the jungle near Chiang Mai and the picturesque white sandy beaches of Koh Phi Phi and Krabi, you’ll experience it all on this TFT favorite! Swim with sharks and dive world-class reefs in the world’s bluest waters, meet saffron-cloaked Buddhist monks, bathe elephants surrounded by jungle, gaze in wonder at golden Buddhas and temples adorned with mother-of-pearl inlay, try local delicacies and learn how to cook your own mouth-watering cuisine, all while enjoying the warm hospitality and gentle smiles of the Thai people. 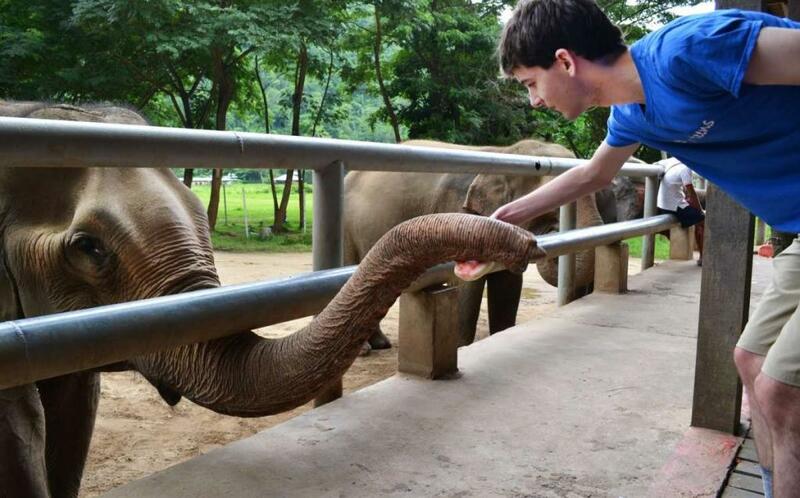 Please note, we do not ride elephants on any of our programs. TFT is very proud to be one of the only teen tour operators to take this stance and support ethical tourism. As the group flight takes off, the program officially begins! 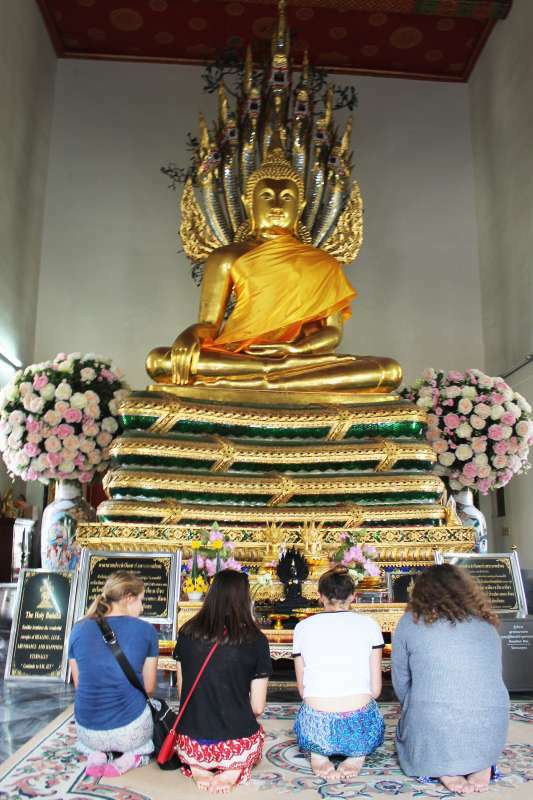 We’ll hang out in Chiang Mai, a hip university town in the northern hills of Thailand, taking ample time to explore the world-famous Buddhist temples and vast outdoor markets, a tradition left over from the caravans that stopped off here from the nearby Silk Road. 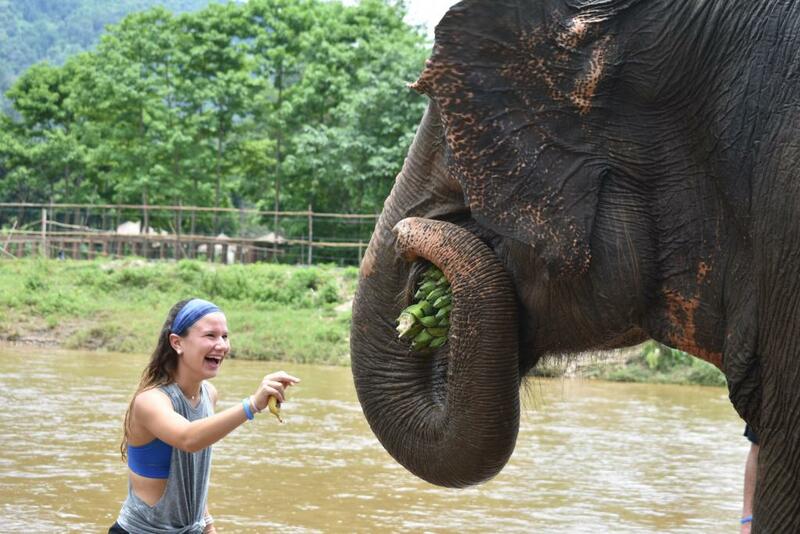 Meet Buddhist monks and participate in a question-and-answer session, try out Muay Thai boxing, bathe elephants in the jungle, and learn Thai cooking and dancing. We’ll cap off our time in Chiang Mai with a celebratory dinner where we sail paper lanterns into the night sky. 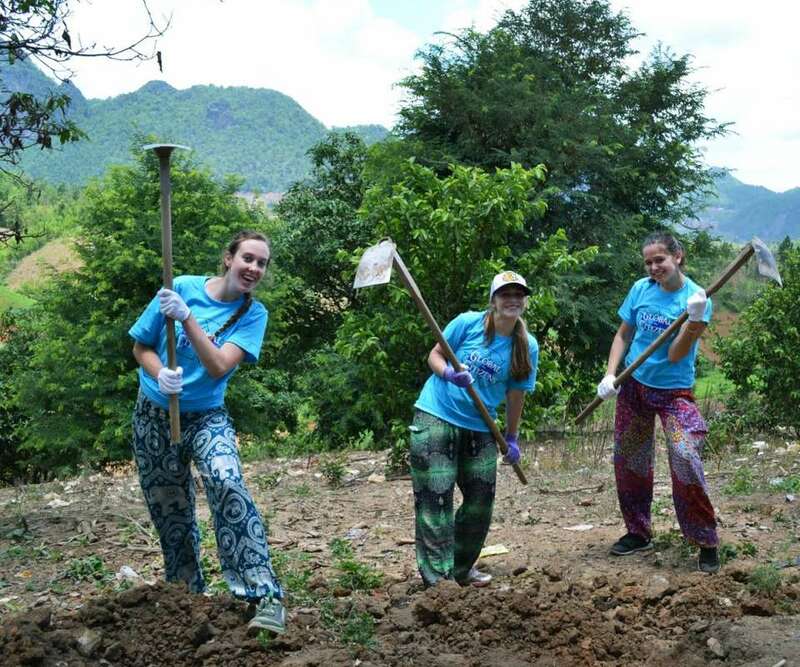 In the hills near Chiang Mai, we’ll give back to the indigenous hill tribe community by conducting a meaningful community service project to improve the facilities of the local school. 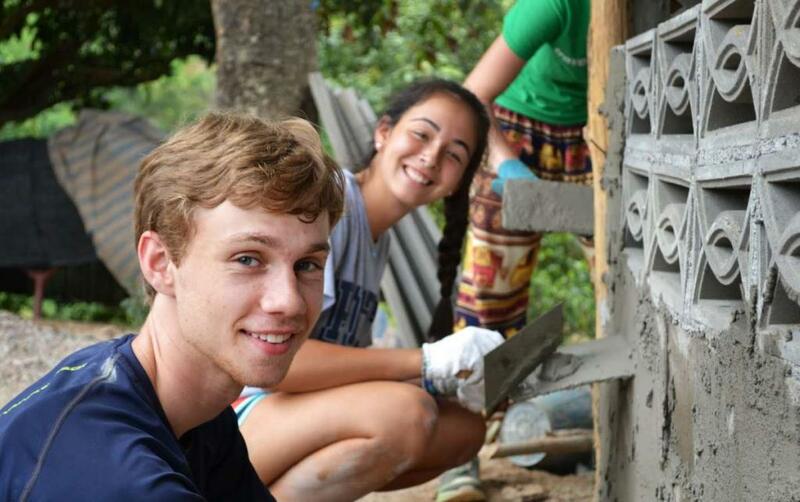 Channel your inner handyman (or woman) as you see the direct impact of your hard work on the lives of these incredible people. This is a unique chance to immerse yourself in an enriching experience, where you’ll learn about a different way of life and about yourself. Coming out of the jungle, we’ll jet down to the Phi Phi islands in the Andaman Sea for a taste of tropical nirvana. Snorkel and dive in the crystal-clear blue waters and relax on the most beautiful beaches you’ve ever seen. 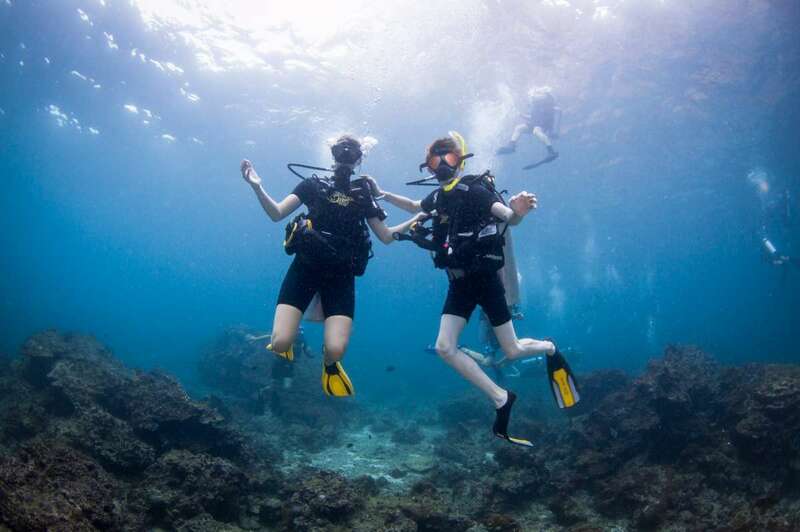 For the adventurous traveler, snorkel the reef with harmless reef sharks! The picture perfect sunsets will leave you with memories to last a lifetime. 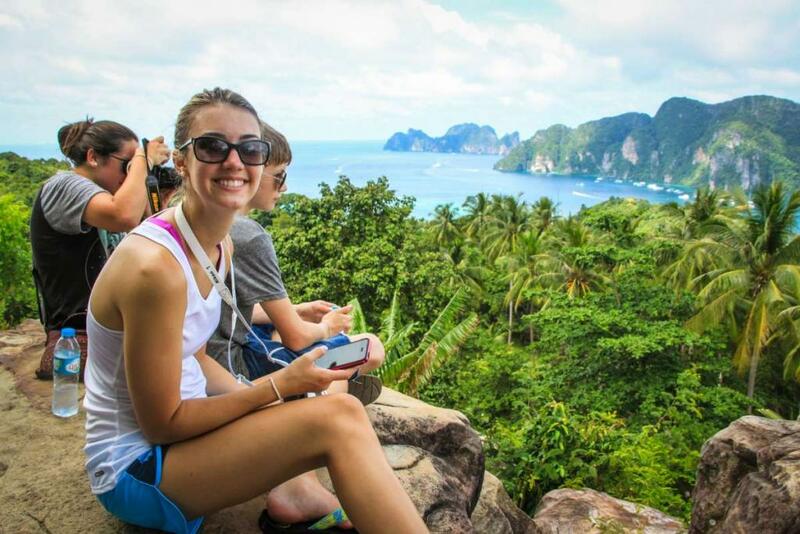 Get in touch with nature as you hike gorgeous scenic trails and take a longtail boat to a beach featured in movies. 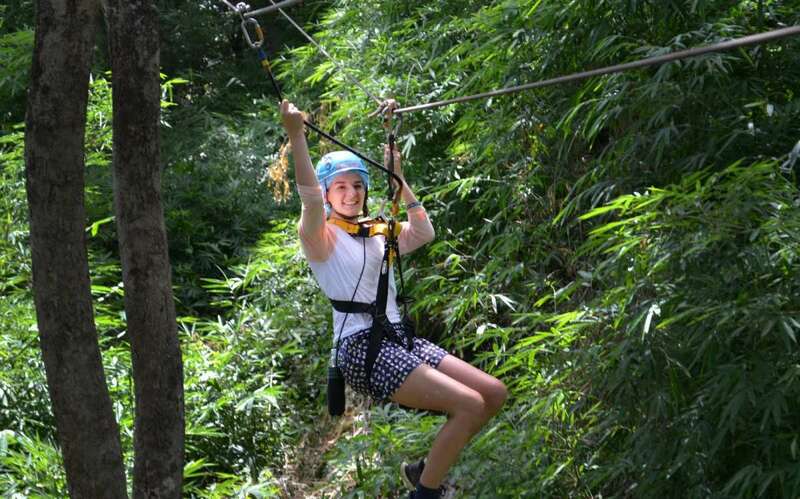 Continue the adventure in paradise with a couple of days in Ao Nang, exploring the best of Krabi. Head inland to relax in the the stunning hot springs of the Emerald and Crystal Pools of Khao Phra-Bang Khram Nature Reserve, before climbing to the the top of the the Tiger Cave temple, one of the most sacred Buddhist sites in the region for jaw-dropping views. 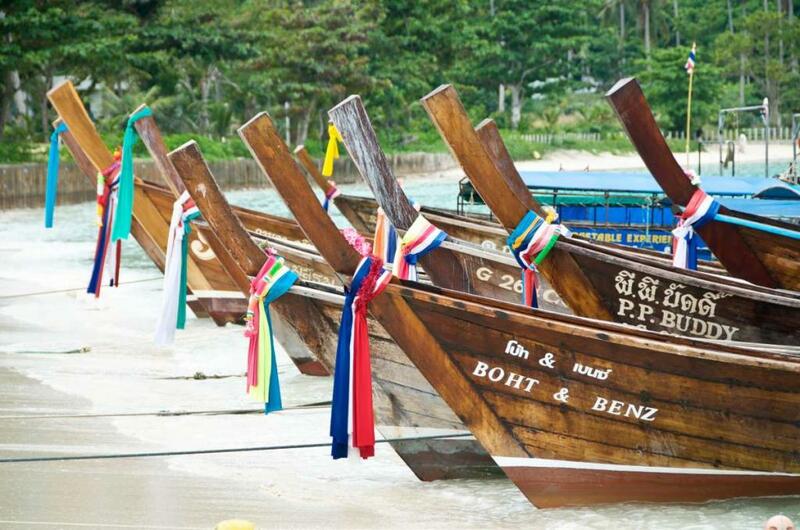 Catch a traditional longtail boat to nearby beautiful Railay beach, playing soccer with fellow travelers, hanging off the limestone cliffs that rise right from the sandy beach or simply relaxing in the sunshine. 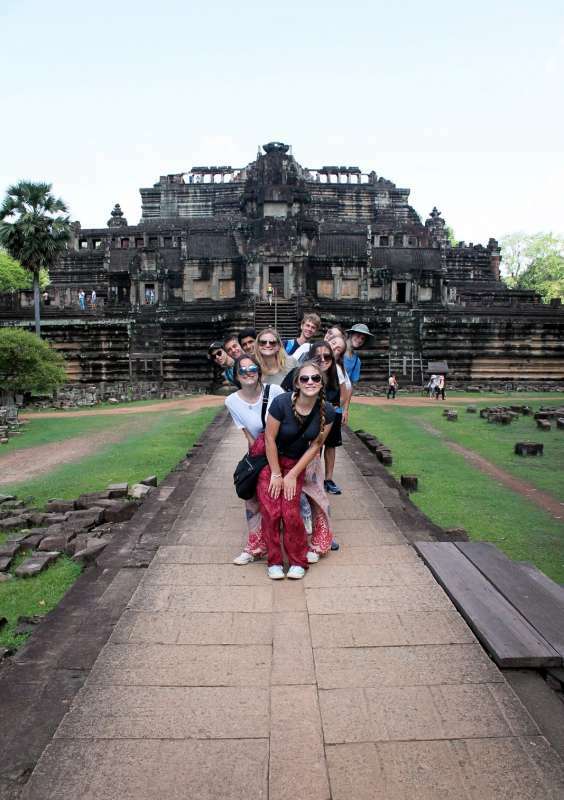 Travel For Teens is also offering an overnight excursion to Siem Reap, Cambodia (extra tuition), site of the Angkor Wat temple complex, one of the Seven Modern Wonders of the World. This will be a three-day, two-night trip. 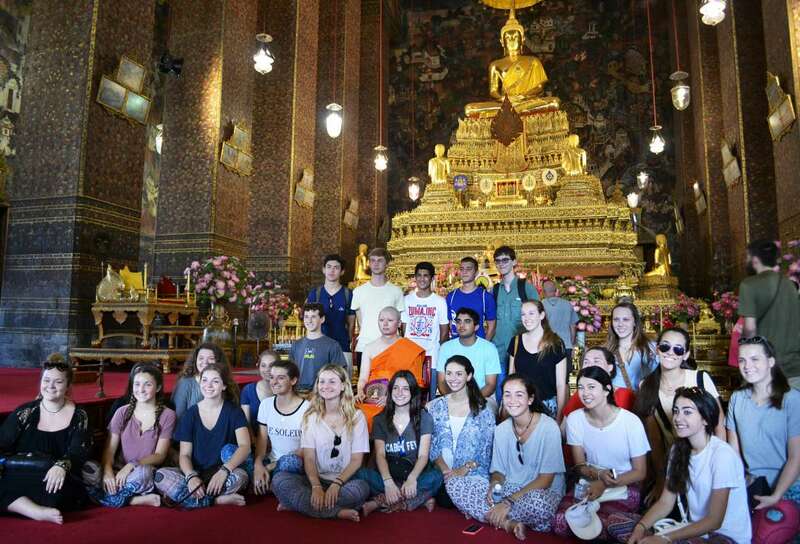 Students will be on this excursion while the rest of the group spend time in Krabi on Days 13-15. 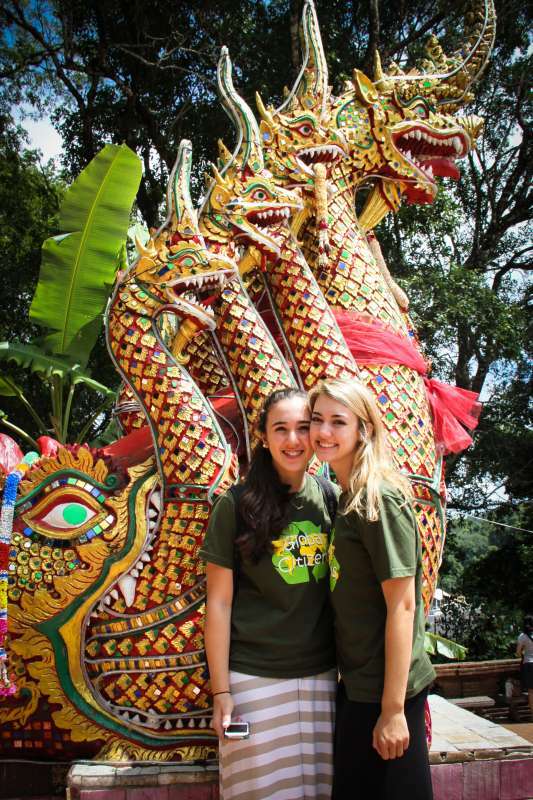 Next you’ll be safely led through bustling Bangkok where we complete this incredible journey. 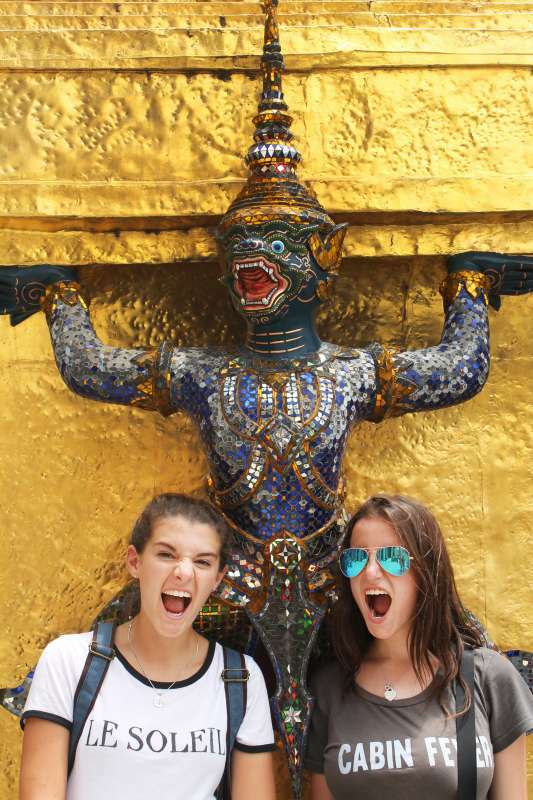 During our tour of this thriving, full throttle city full of energy and life, you’ll marvel at the Emerald Buddha, Reclining Buddha and the opulent Royal Palace before catching the unsurpassed sunset over Wat Arun. Fill your suitcase for the trip home as we canvas the best shopping in the city, hitting up the famed floating markets, Khao San Road and night markets. Close out the trip with an unforgettable final night celebration. Come experience the magic of Thailand with us this summer! We have teens join this program from all over the world! 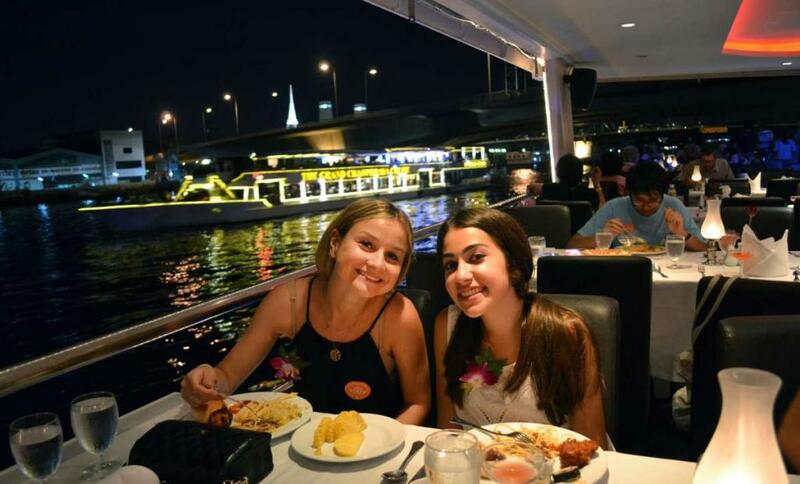 They are typically culturally curious teens who are excited about making new friends, stepping out of their comfort zone, expanding their horizons, and trying something new. This program is only for students who are currently in 9th through 12th grade and approximately 14 to 18 years old. Students living outside of the USA are welcome to join! In Chiang Mai we stay at a locally run non-profit with apartment style housing and excellent communal facilities. In Krabi and on Koh Phi Phi we stay in luxurious resort bungalows a stone’s throw from the beach. In Bangkok we stay in a modern-three star hotel in close proximity to the main attractions and best parts of the city. 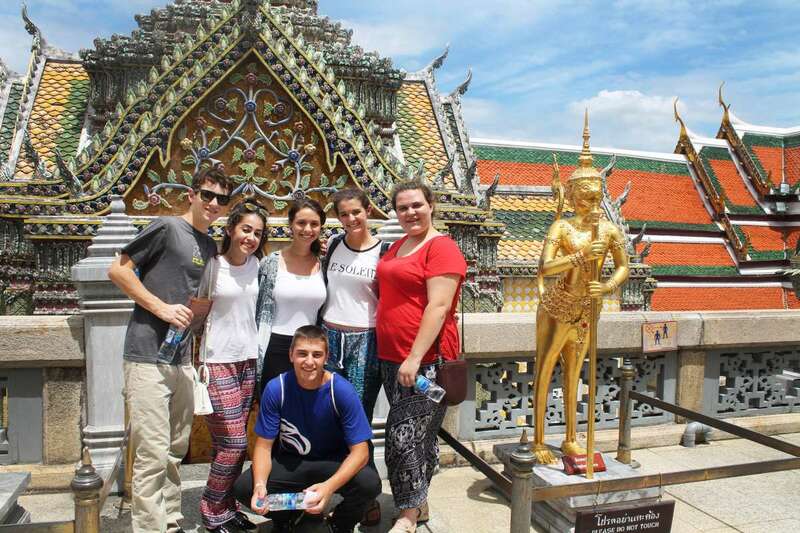 Students love that they are able to explore all the different major parts of Thailand in one unforgettable program–it provides everything with an amazing service experience, time in the jungles of Northern Thailand, the white sandy beaches of the South and the glistening-yet-gritty metropolis of Bangkok. 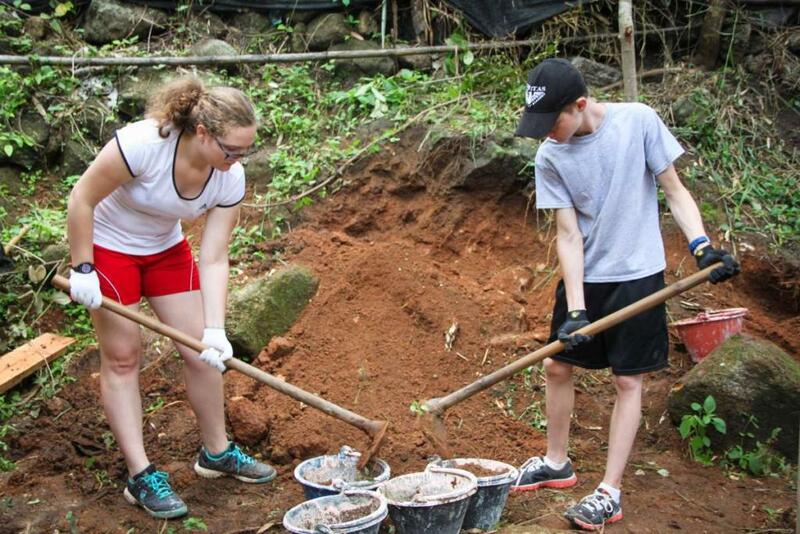 At TFT we are most proud of our ongoing community service initiative with the local school near Chiang Mai. Every year we build upon the efforts of previous groups to create a bright future for the children of the school. Seeing the appreciative smiles of the kids makes all the hard work so worthwhile and of course makes it that much harder to wave goodbye! Thai cuisine is bursting full of flavor, aromatic smells and vivid color, with lots of attention paid to balance, detail and variety. You’ll savor the best Pad Thai of your life and that’s just to start. Take your pick from hundreds of incredible dishes featuring mouth-watering combinations of rice, noodles, seafood, meats and fresh vegetables. What will your new favorite be? 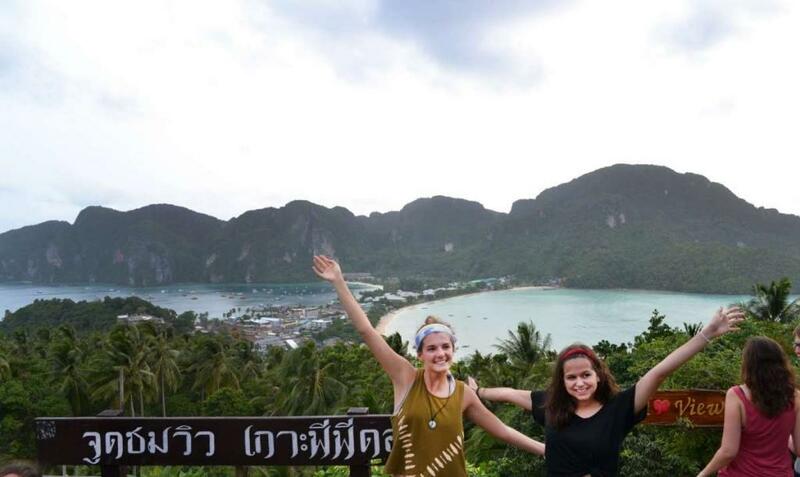 Any US citizen that enters Thailand does not require a visa. Instead you will automatically receive a 30-day stay in the country. "Just awesome. The updates are beyond appreciated. I am jealous!! Just amazing. Cam will be doing a trip next summer." 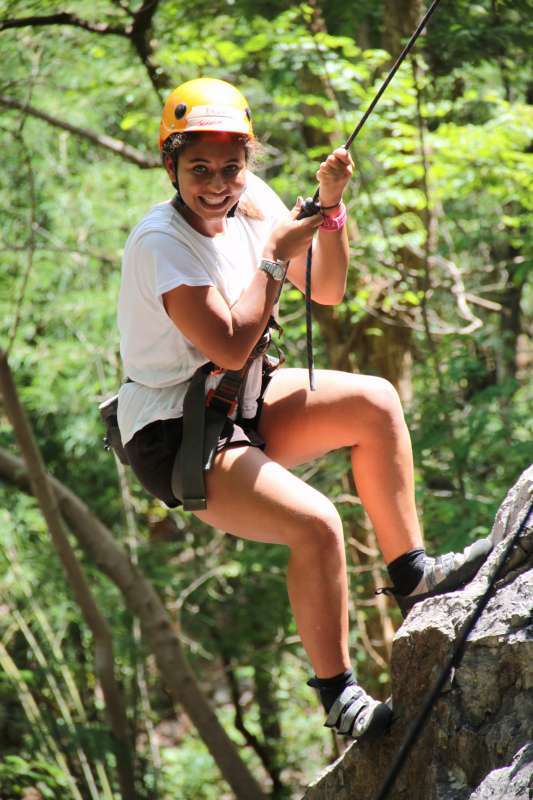 "Much thanks to TFT for giving Siena and the kids an unforgettable experience that will forever change their lives! You should feel very good about your role in shaping the minds and future of these young adults."